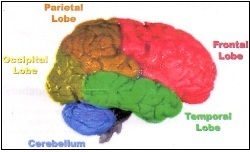 Dementia is a decline of reasoning, memory, and other mental abilities (the cognitive functions). This decline eventually impairs the ability to carry out everyday activities such as driving; household chores; and even personal care such as bathing, dressing, and feeding (often called activities of daily living, or ADLs). 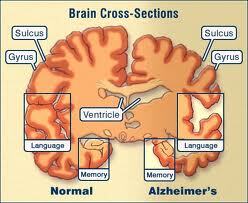 Dementia is most common in elderly people; it used to be called senility and was considered a normal part of aging. We now know that dementia is not a normal part of aging but is caused by a number of underlying medical conditions that can occur in both elderly and younger persons. In some cases, dementia can be reversed with proper medical treatment. In others, it is permanent and usually gets worse over time. Dementia affects about 1% of people aged 60-64 years and as many as 30-50% of people older than 85 years.It is the leading reason for placing elderly people in institutions such as nursing homes. Dementia is a very serious condition that results in significant financial and human costs. Many people with dementia eventually become totally dependent on others for their care. Although people with dementia typically remain fully conscious, the loss of short- and long-term memory are universal. People with dementia also experience declines in any or all areas of intellectual functioning, for example, use of language and numbers; awareness of what is going on around him or her; judgment; and the ability to reason, solve problems, and think abstractly. These losses not only impair a person's ability to function independently, but also have a negative impact on quality of life and relationships. Many older people fear that they are developing dementia because they cannot find their glasses or remember someone's name. These very common problems are most often due to a much less serious condition involving slowing of mental processes with age. Medical professionals call this "benign senescent forgetfulness," or "age-related memory loss." Although this condition is a nuisance, it does not impair a person's ability to learn new information, solve problems, or carry out everyday activities, as dementia does. Many dementias are progressive, meaning symptoms start out slowly and gradually get worse. If you or a loved one is experiencing memory difficulties or other changes in thinking skills, don't ignore them. See a doctor soon to determine the cause. Professional evaluation may detect a treatable condition. And even if symptoms suggest dementia, early diagnosis allows a person to get the maximum benefit from available treatments provides by us. It also provides time to plan for the future. 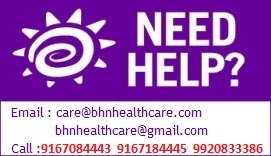 BHN offers complete Dementia care for those suffering from Alzheimer’s. 1. We provide Nurses or Nursing aids based on 24/12 hrs shifts. 3. Regular visits by our consultants at your door-step. 4. Visit from our Gerontologist who has specialized in Geriatric care. 5. Formulating and coordinating their treatment plans with Doctor’s and family members. Although an individual with dementia should always be under medical care, family members handle much of the day-to-day care. Medical care should focus on optimizing the individual's health and quality of life while helping family members cope with the many challenges of caring for a loved one with dementia. Medical care depends on the underlying condition, but it most often consists of medications and nondrug treatments such as behavioral therapy. Treatment of dementia focuses on correcting all reversible factors and slowing irreversible factors. This can improve function significantly, even in people who have irreversible conditions such as Alzheimer disease. 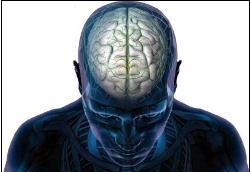 Some of the important treatment strategies in dementia are described here. Many seniors require ongoing medications for chronic conditions such as heart failure, high blood pressure, high cholesterol, diabetes, prostate enlargement, and many others. Reviewing these medications can reveal incorrect doses, drug interactions, side effects, or poor compliance (taking drugs inappropriately or not at all) that could be responsible for part or all of the person's dementia symptoms. Adjustment of doses, elimination of interactions, and development of a drug-taking regimen to ensure that the person takes his or her drugs as prescribed can help reverse symptoms. Dementia due to some conditions, such as Alzheimer disease, can sometimes be slowed in the early-to-intermediate stages with medication. Many different types of medications have been or are being tried in dementia. The medications that have worked the best so far are the cholinesterase inhibitors.